The new year is the perfect time to redecorate and with my partner and I finally moving in together this month, not only am I excited for this new phase in our lives, but I'm also thrilled at the idea of a fresh slate as far as decorating goes. In my last place, I was very limited as to how much I could decorate, as I had just moved out of home and buying all the furniture and other jazz you need to set yourself up with left my decorating budget more than a little sparse! This time around though, all the big stuff is taken care of and I'll finally be able to spend any extra money I have on making my new house a home. 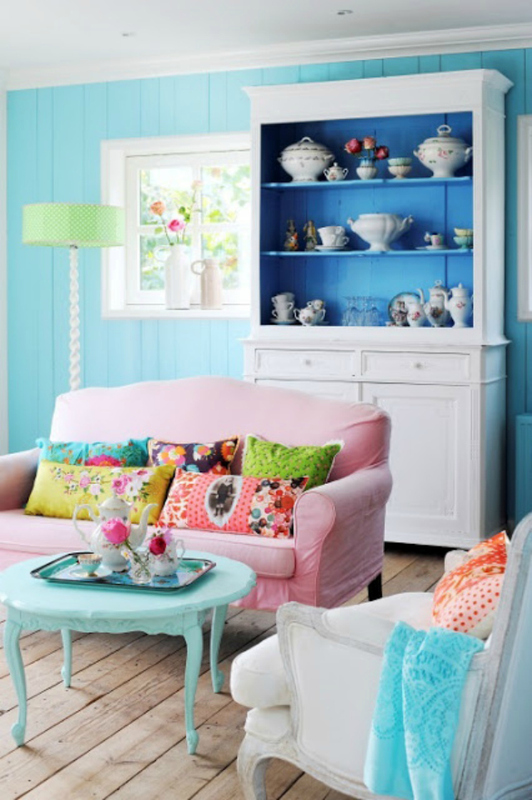 Now, I know pastels and florals aren't everyone's cup of tea, but I thought I would share with you all today my pastel decorating inspiration in case you have redecorating on your mind this new year as well. 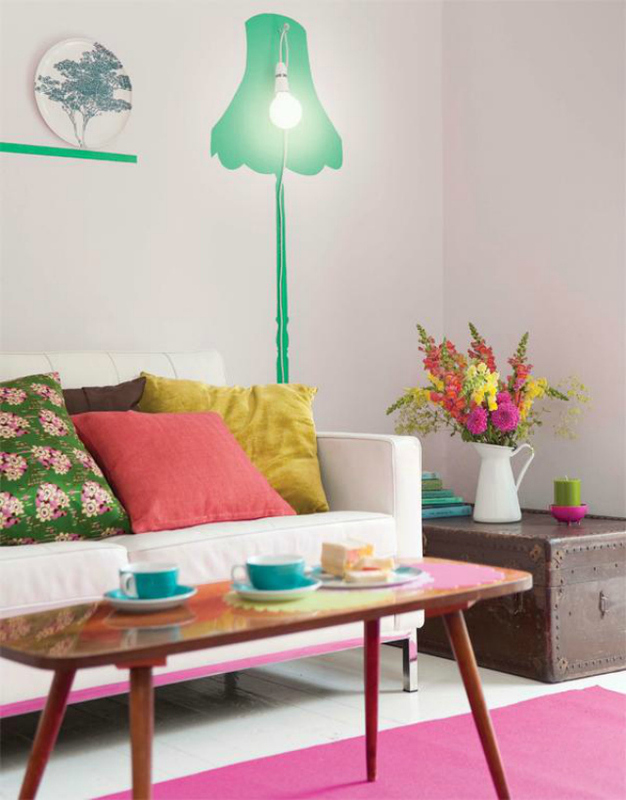 Loving the mid century coffee table and "lamp" in this picture! 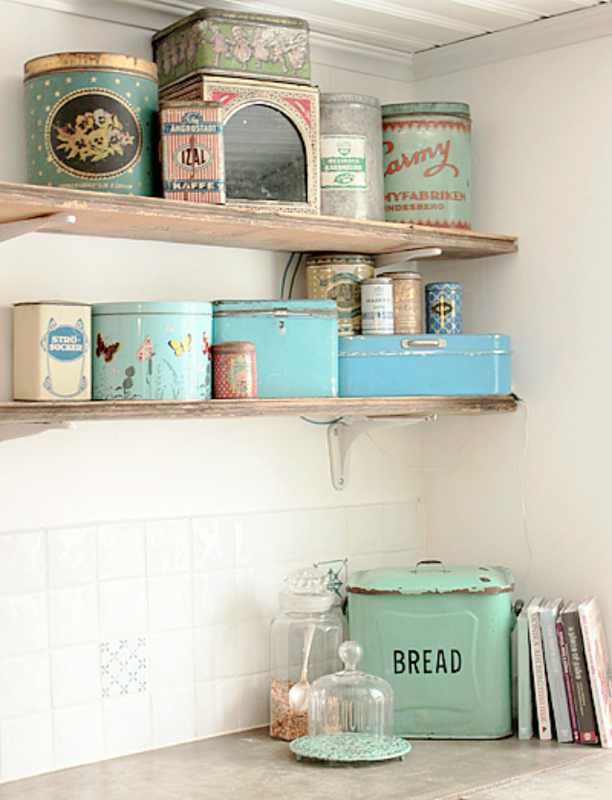 I love hanging plates! Praying my landlord doesn't mind a few holes in the wall! Insertpastel pink KitchenAid Mixer here and you have my dream kitchen paraphernalia. 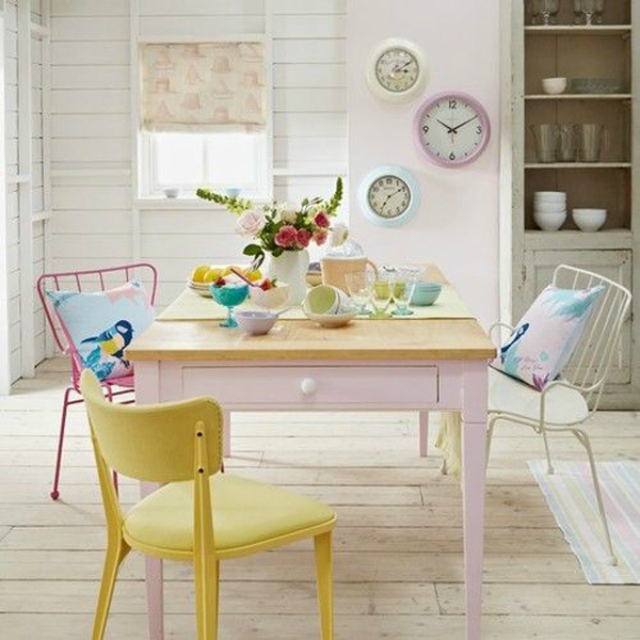 Mid century style furniture and pastels are a winning combination in my opinion! 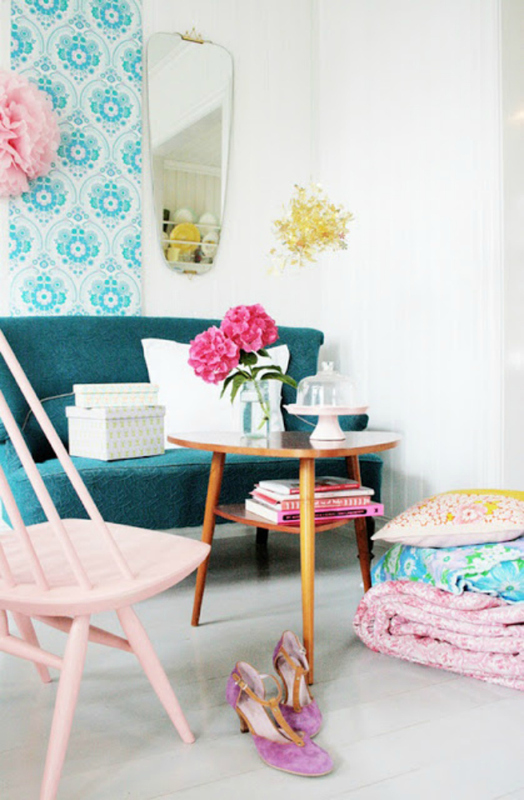 What I would do for a pink lounge! 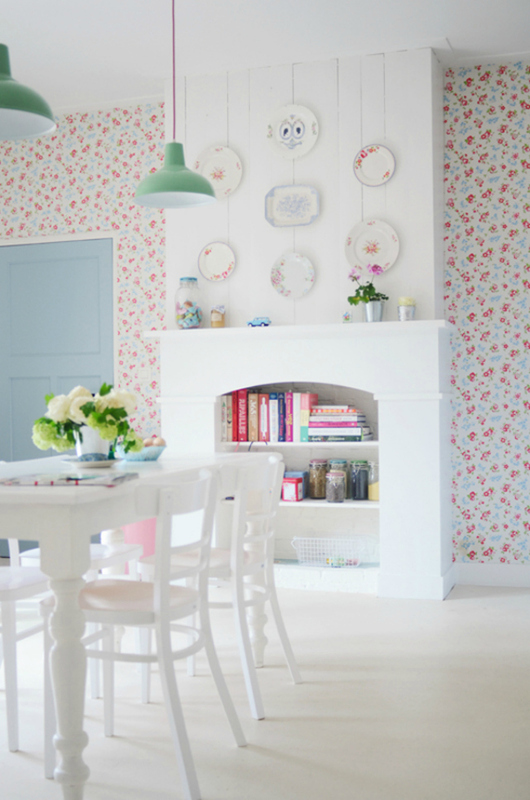 Thinking this very well could be my dining room if I get some cute mismatching chairs from op shops!